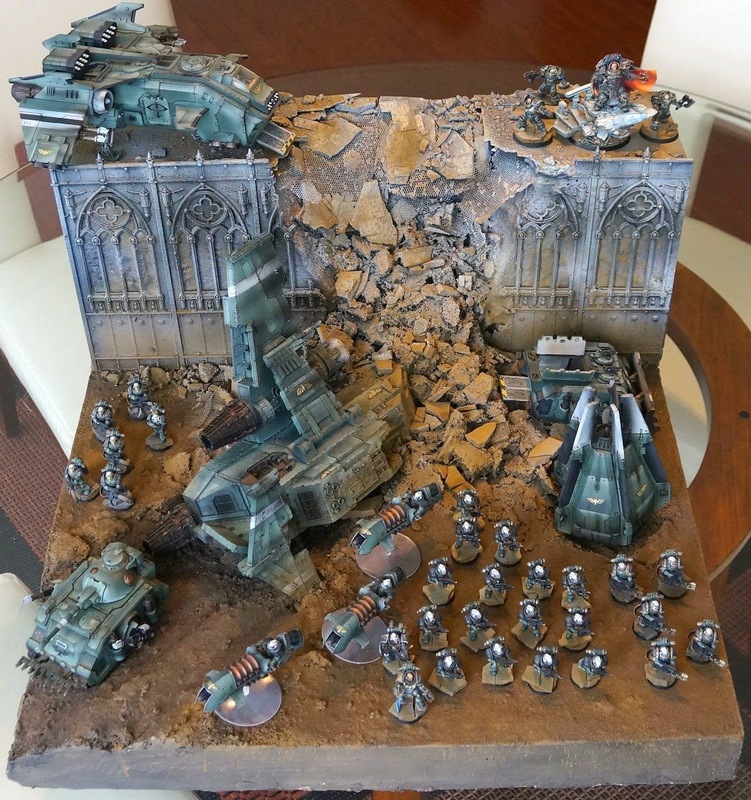 The NOVA Open is nearly here, and that means there are only a few days left to win one of the lovely armies showcased below. 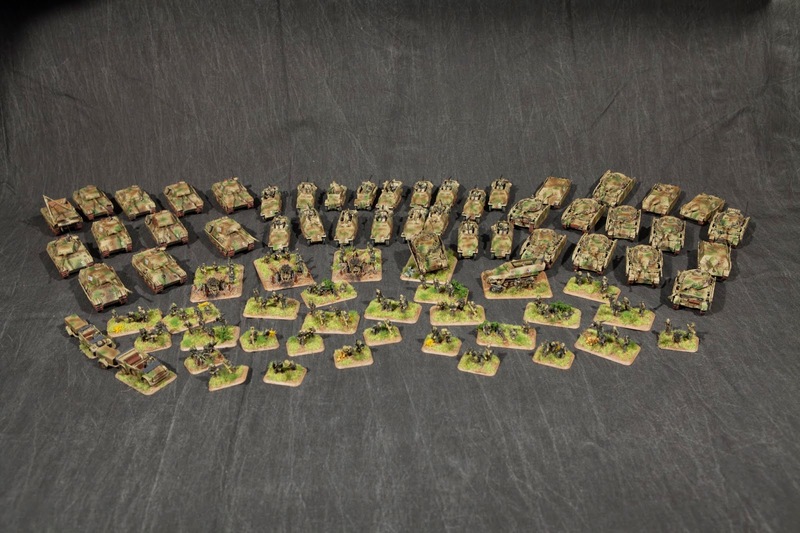 A tremendous amount of work went into the armies. 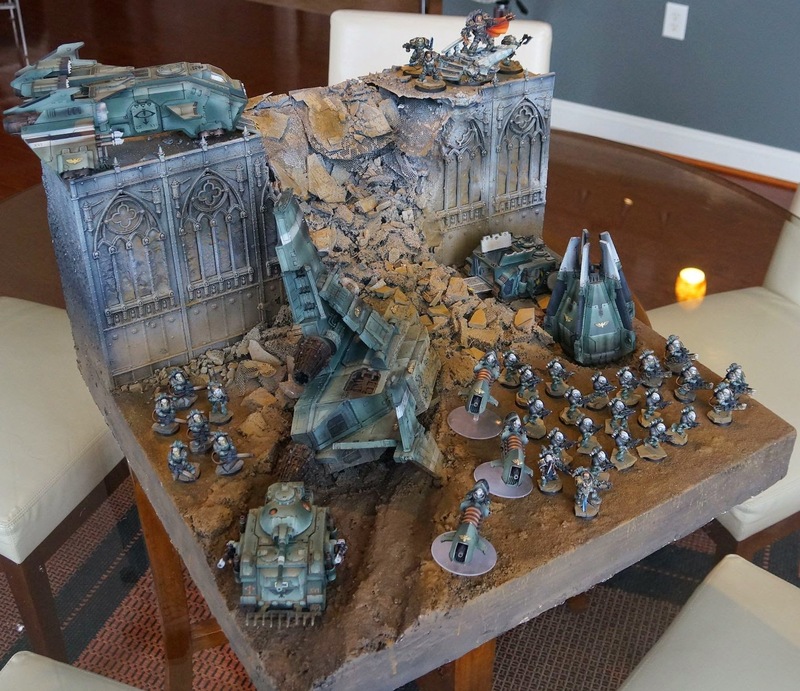 I believe several of the armies could win best painted awards if they were eligible. The charitable foundation needs your help right now. Let's push the charity donation higher! For anyone attending NOVA please come by and say hello. I'll be playing in the warlords track, and will be hanging out in painting seminars. 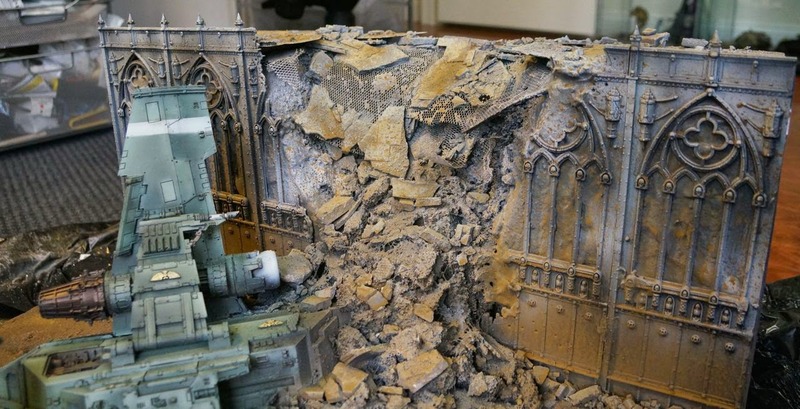 Twenty-one renowned miniature artists have created two massive 40K forces reflecting the iconic Battle of Macragge. Together for the first time! KR Mutlicase has provide custom trays in an Aluminum1. 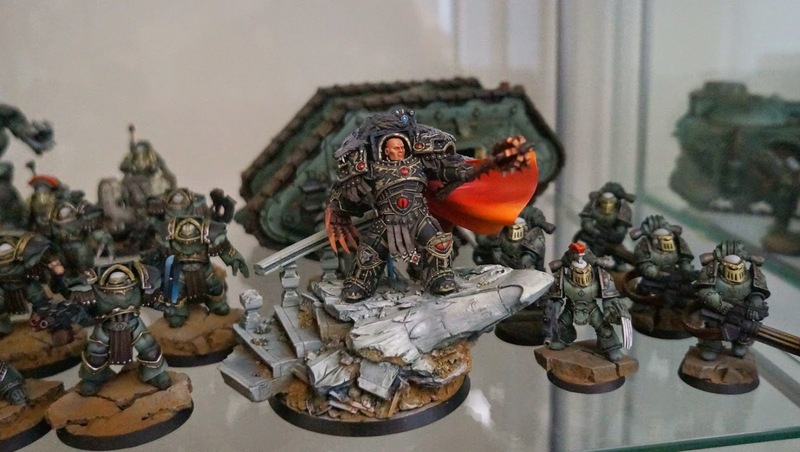 Thirty members of the Penny Arcade created this Deathwatch army and donated it for the PAX/Penny Arcade charity which works to improve the lives of children in hospitals around the world. 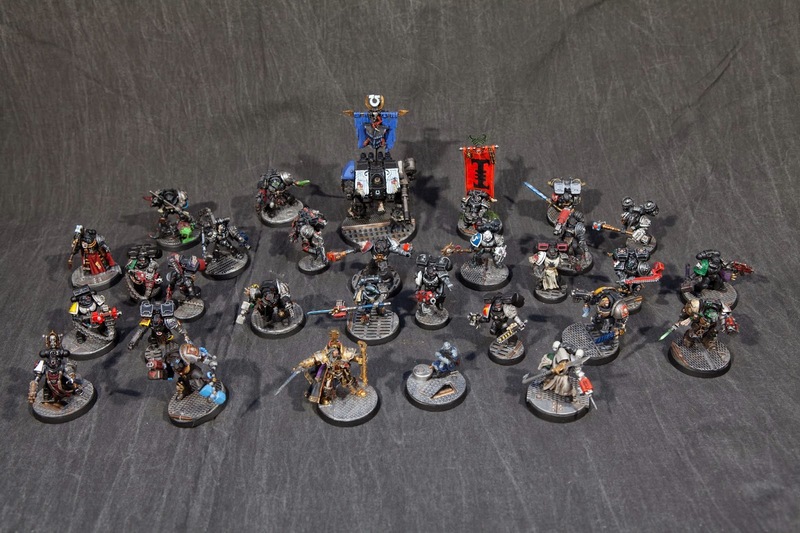 THIS ARMY COUNTS AS GREY KNIGHTS! Stiff Neck Studio owner/artist, Capt. 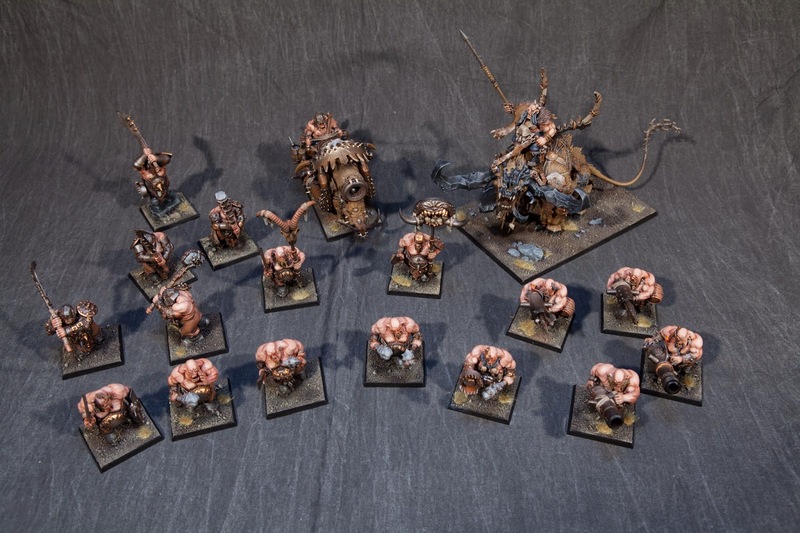 Wes Cogdal, created this Fantasy army for the NOCF. He was the creator of last yearÕs House of the Silent King which also raised funds for the Fisher House Foundation. We are hoping the Fantasy community could step up and match those efforts this year! Comes with Ogre Kingdom Army Book. 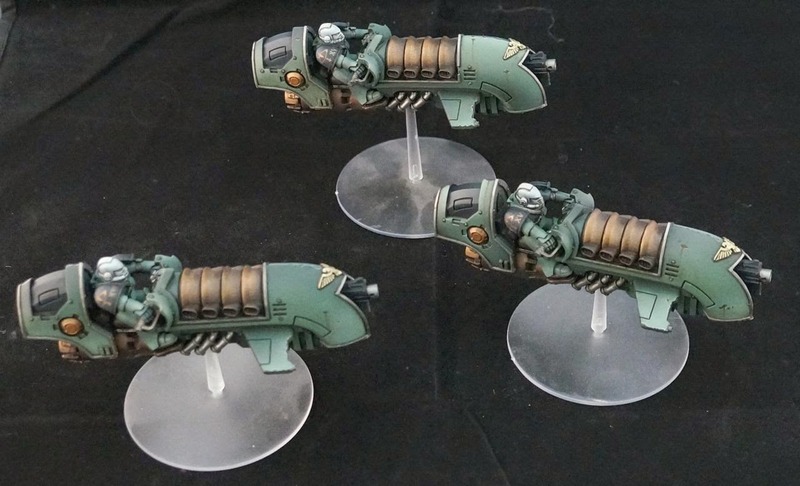 The jet bikes need proper bases, and there are loads of little details to touch up before completion, but overall I am happy with how far this has come. It is going to be a bear to maneuver this thing around the Narrative event! It is that time of year again, when hundreds of people head over to the NOVA Open and have a weekend of gaming, friends, and far too little sleep. 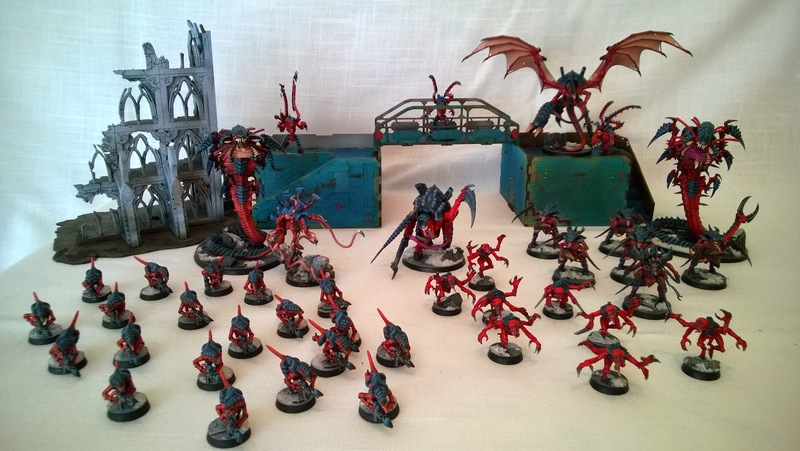 At the NOVA Last year I decided to paint up a 30k Emperor's Children force for this years event. Instead of purple, I decided to paint up the Warmaster's sea green legion instead. 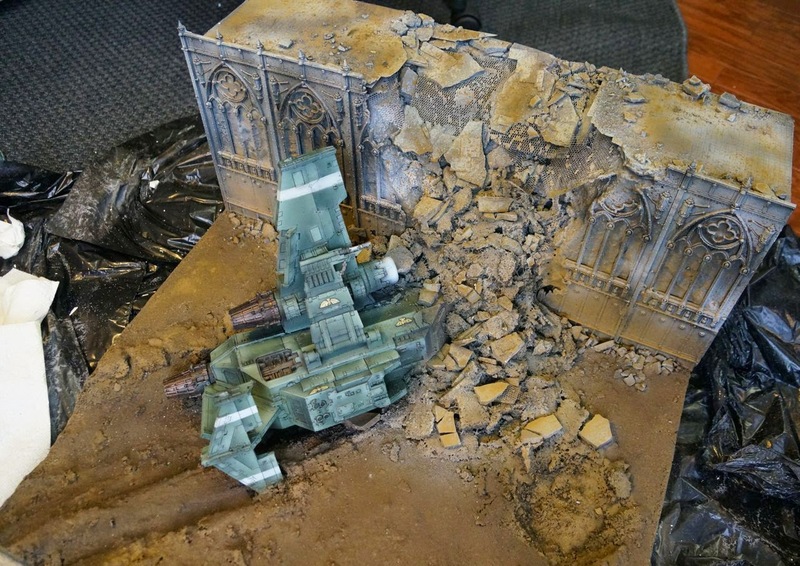 This display board was meant to evoke the Forgeworld Istavaan III drop site massacre. 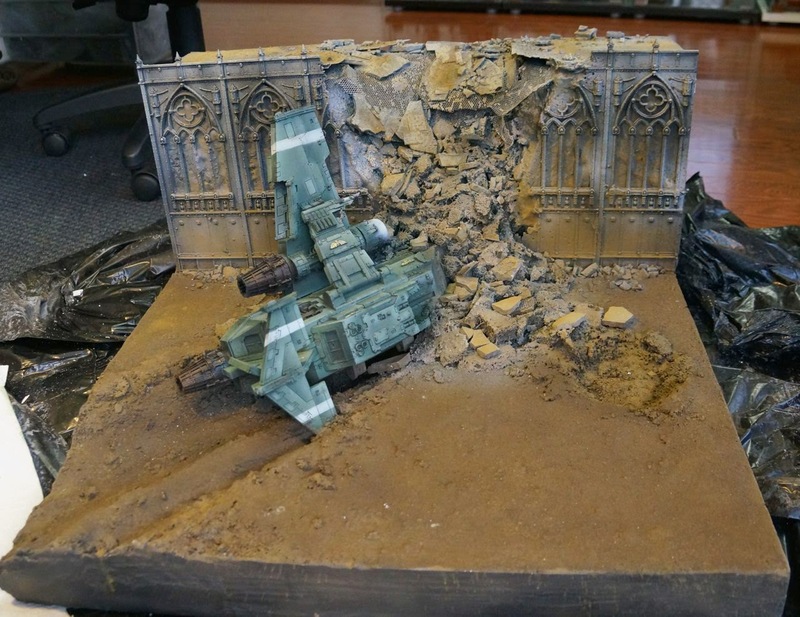 If you have not seen the FW diorama, then you really should check it out. 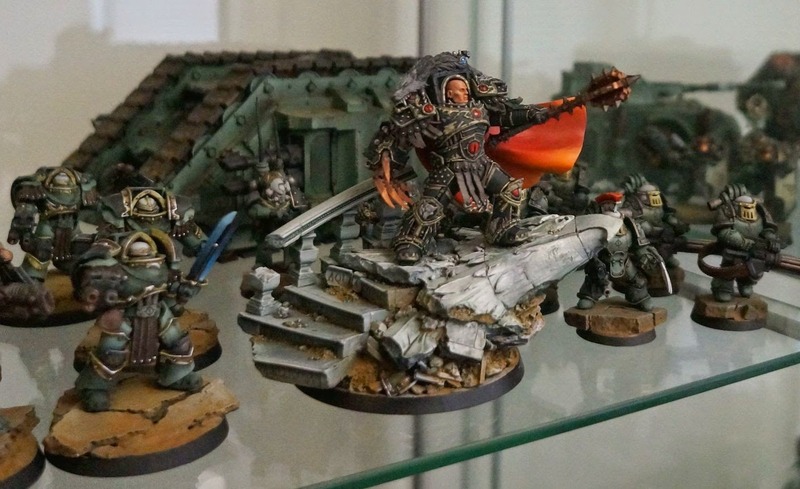 For those who don't know, the traitor legions had to first purge their ranks of loyalists before they could focus on brining war to the Imperium at large. I built my force to be a loyalist force, but will be fielding Horus as my Lord of War. The board itself is not complete yet. 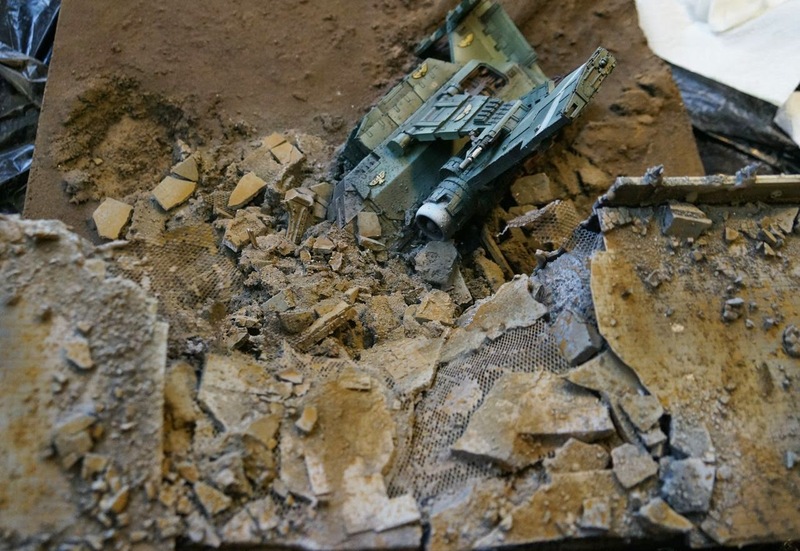 I have chipping and smoke streaking on the thunderhawk, and then another round of weathering powders. Saturday I will test fit the models, and touch up some of the units. I am not sure if I should try and paint the edges of the board black or if they should stay rough and dirty, blending into the rest of the diorama. I hope I get the chance to meet a bunch of you guys at the convention. 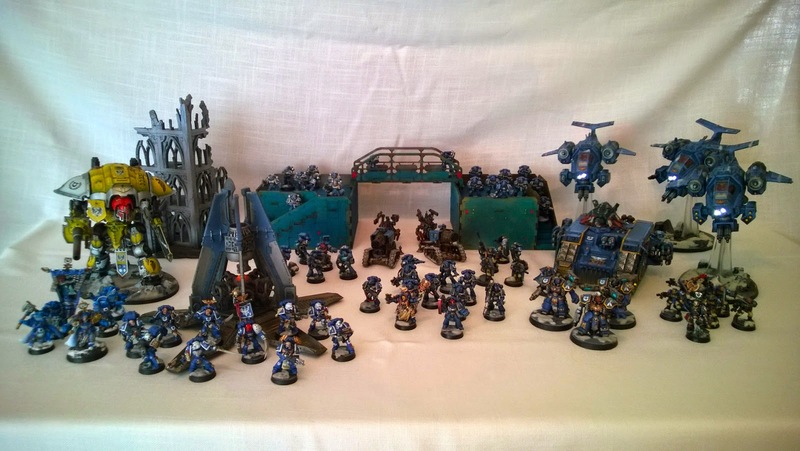 Maybe one of you will be lucky enough to win the Ultramarines charity army supporting Doctors Without Borders. It is a magnificent army, and is supports a really good cause. 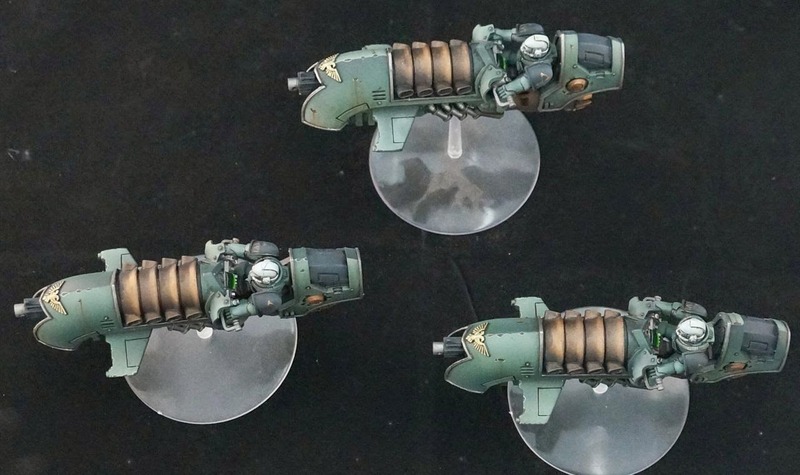 As might be evident from reading this blog, I don't play a whole lot of the actual game, instead focussing on painting. Once or twice a year this changes, and I get the chance to bring out an Army and engage with the gamer side of the community. The downside, is that my list building skills are non existent. My goal is to make sure my opponent and I have a good game. Part of that though, is not bringing such a bad list, that there is no fun for the other player. This cuts both ways. The list needs to be solidly middle ground, neither broken, nor cakewalk. Aside from Horus, who should be a death dealing machine, my NOVA Narrative list looked pretty lacking in AV14 abilities. It was also lacking in speed. 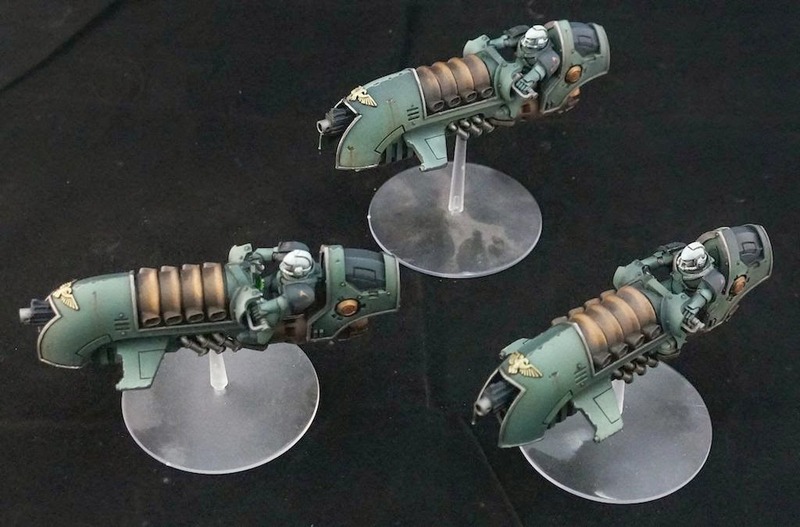 Hopefully this squad of jet bikes will solve my fast moving scoring and melts-bombing capabilities. Now for the question. 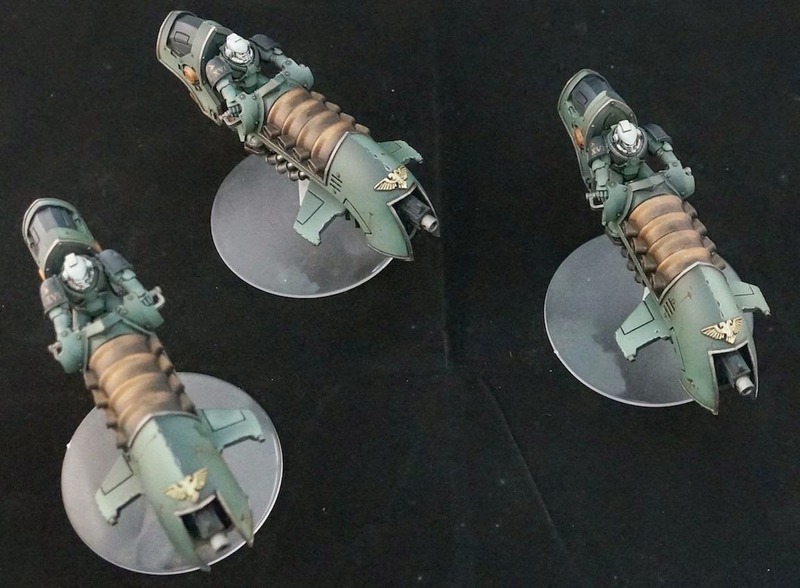 I had the choice of replacing one of the heavy bolters with a melta gun, but instead I opted to give the squad melta bombs. Is this practical? I could scrimp and scrape and have a melta gun and melta bombs but it would leave my large tac squad vulnerable to walkers. Ok.. time for everyone to snicker at these models. Go ahead, FW deserves that. 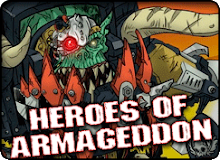 In game these guys are basically single shot highly explosive suicide mission troops. The leave as fast as they come. My Lord of War choice for the NOVA Open narrative event is now completed to a playable level. I have some work to do to complete the model, but since this was a last minute list change, I thought it important to get 99% of the way done. Horus still need to have final face highlights, and then dust applied to his legs. After that I think he will be fit to lead the Legion into battle. 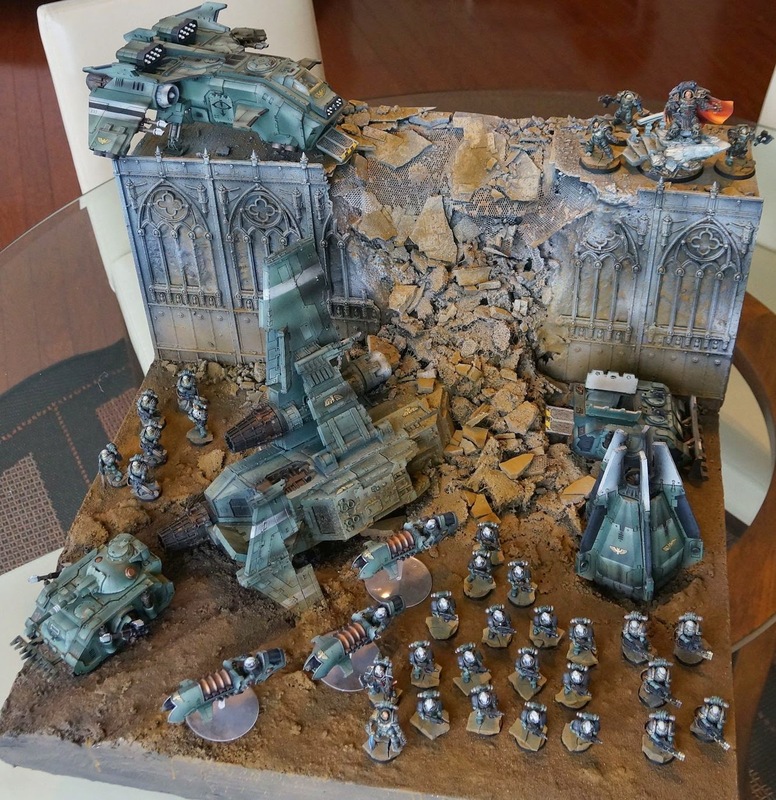 Initially I was really worried about making the scenic base fit with the rest of the army, but I think the application of green earth weathering powders did the trick. 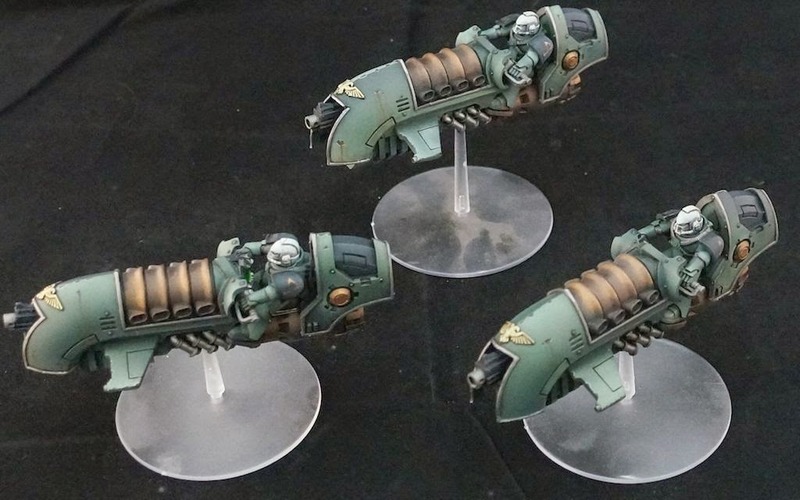 On to the jet bikes!